When it comes to shopping for your geeky husband, friend or sibling this summer, you know that not just anything will do. After all, they grew up nerding out as hard as they could on Star Wars and retro video games and now, well, they still spend a lot of their time nerding out on both of those things. Appealing to their unique tastes is as simple as giving them geek gifts that appeal to the things that they love the most. Check out some of the best gifts you could give your nerdy friend below! 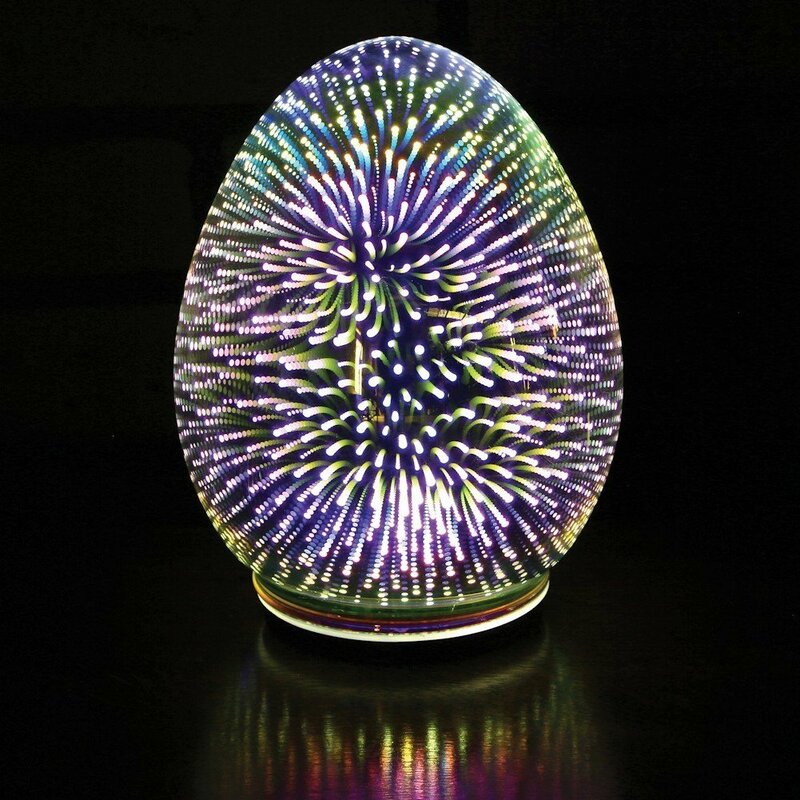 This cordless lamp comes in the shape of an egg. Made from mercury glass, the lamp uses LED lights that shimmer and shine, dancing inside of its confines. Prices start at $32.94. Reviews state that the ball is vibrant and colorful, a centerpiece on some people’s desks. It makes excellent geek gifts for those you know that spend a lot of time at their desks. With the Gravity Rod, a small magnet floats in nothing but air. It will spin and float unassisted for as long as you want–even up to an entire lifetime. It is the perfect modern addition to any geeky space. This product’s price is currently unavailable. Reviews state that it brings a beautiful, contemporary aesthetic to anyone’s desk and can be stared at for hours. This poster features the patent for the TESLA Energy Transmitting Tower. It uses ultra chrome ink atop card stocks, giving it a beautiful matte finish. It comes unframed, but the white lines around the border make it perfect for adding a frame. Reviews indicate that they make excellent conversational pieces and work in industrial spaces. These coasters depict an anatomical view of parts of a heart on an otherwise transparent medium. Stacking the coasters in the correct order reviews an anatomically correct heart. Reviewers say that they are fun to gross out their friends with! These salt and pepper shakers come in the form of both a red and a blue light saber. Inside, the grinding mills are made up of nano-coated stainless steel. They are powered by batteries. Those who own this set say that they are well built and even feature a fun light on the bottom that is both practical and neat to look at. One of the most commonly used keyboard macros, Ctrl Alt Del is something that will be instantly noticed by any PC gamer. These pillows are black and white, just like the keys, and are made from 100 percent cotton. Online reviewers say the product is extremely well made and that the recipient of the gifts loved them. Any retro gamer is going to get a kick out of this. Cast in the style of the original GameBoy, this dry erase board lets you jot down your notes on its “screen.” It attaches with magnets. Reviewers say that they like to draw old Pokemon battle scenes on the board instead of taking notes. Oops. Whatever your geeky friends like, this list of the best geek gifts is sure to satisfy! Whether he is a movie buff, loves to play video games or likes to geek out in the world of science, comics or engineering, you’ll find the perfect gifts right here.